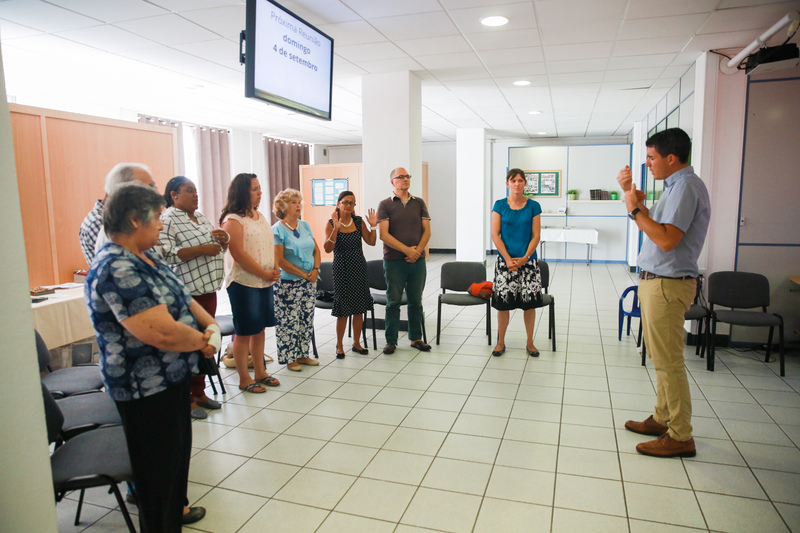 Today we want to share some pictures from our most recent deaf church service. These pictures are so good because there was a kind photographer and her daughter who came from Iowa to visit Portugal. Here are some moments that she captured. Greeting each other before church. Laura always has a friendly smile! Helping Grampa Cal play the drum. Discussion is also very important. The deaf feel the vibrations from the drum and keep time to music. 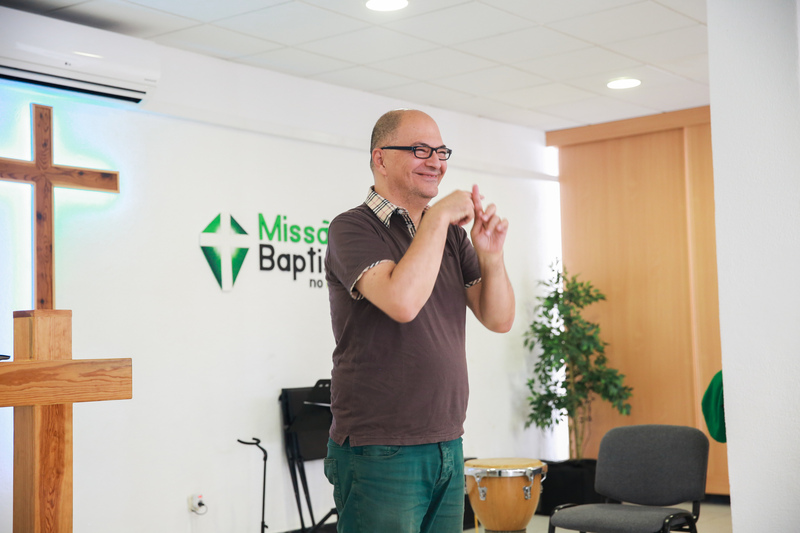 Pray for the deaf in Portugal. 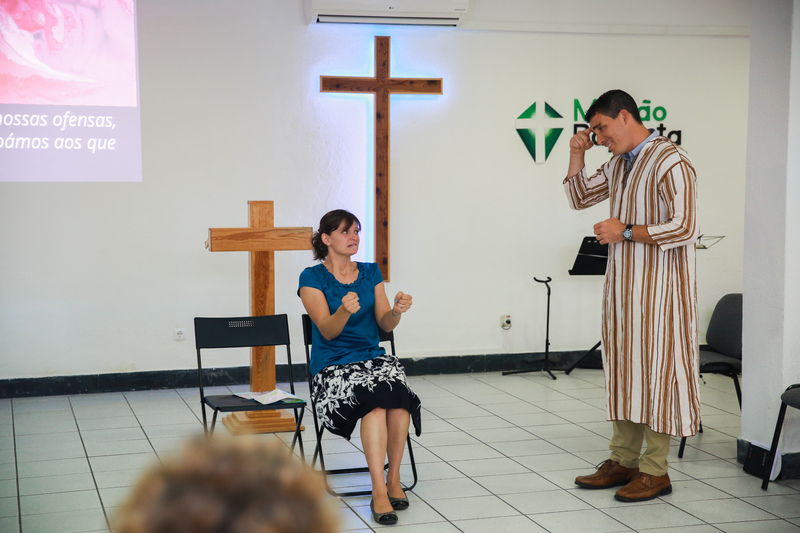 We often do a drama to illustrate the point of the message. 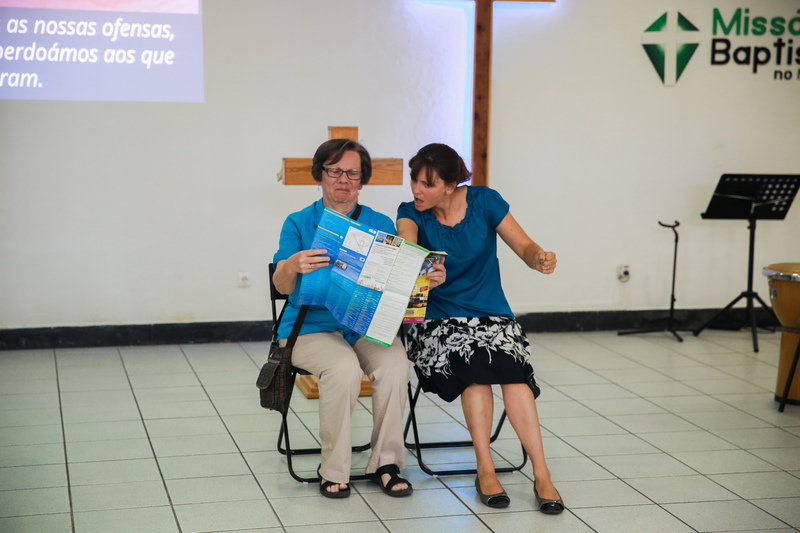 Here Joyce (our missionary colleague) is an “atheist” trying to help Sarah find her way to heaven. Finally, “Jesus” comes to show Sarah the way to heaven. Praying at the end of the service. 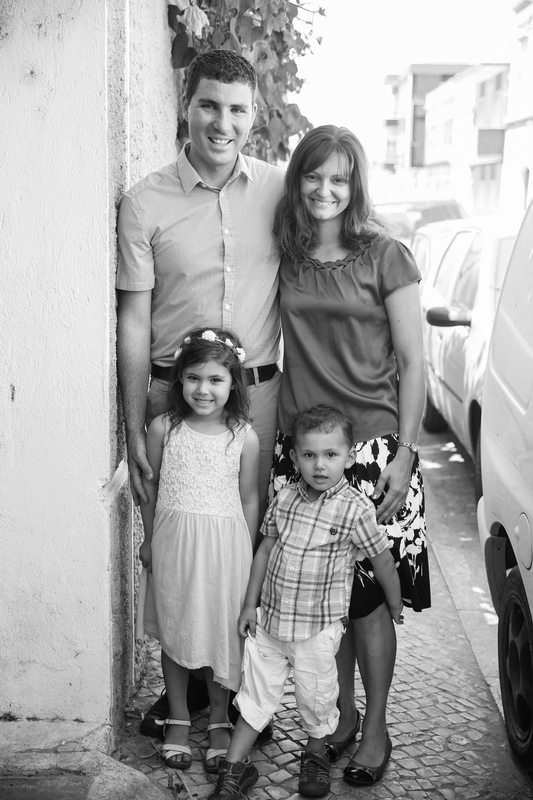 Thank you for praying for us and for Portugal! Like a shot of adrenaline: that is what this summer has been to our church. It started with camp. We took 17 youth from our church to the camp we help run the first week of July. It is a week that the teens look forward to and talk about all year long. Right away we encountered some challenges: vans breaking down; lice; and, worst of all, hard hearts. Though the campers knew the rules, some chose to disobey and, sadly, were sent home. It ended up being for the best, however. The rest of the almost 60 campers were able to focus during the week, and over a dozen young people were saved. For the campers who were sent home, it drew attention to their rebellion and the consequences for their actions. Though several are still choosing their own way instead of God’s, we continue to reach out to them every week and pray that they will ultimately choose to follow God. Throughout the summer, we also sent 8 kids to children’s camp. 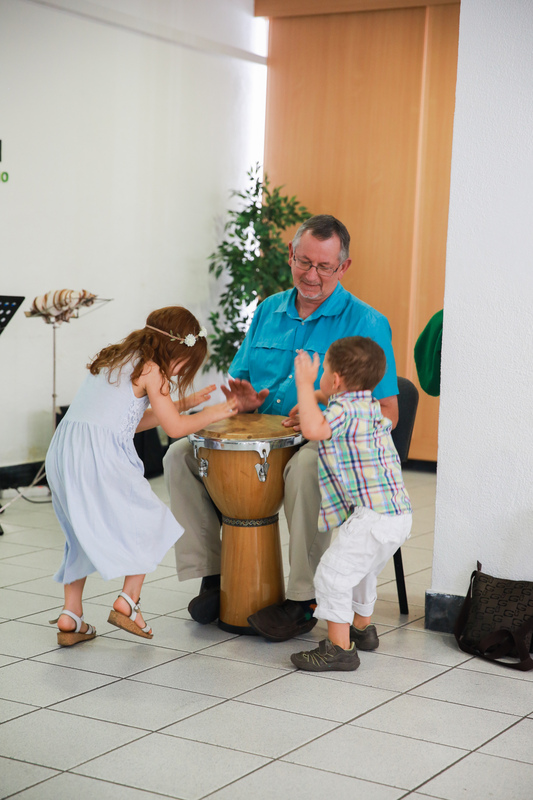 In all, 22 kids and teens from our church have a treasure of Bible lessons, verses, songs and memories . . . thanks to the ministry of camp. Then came the mission teams! 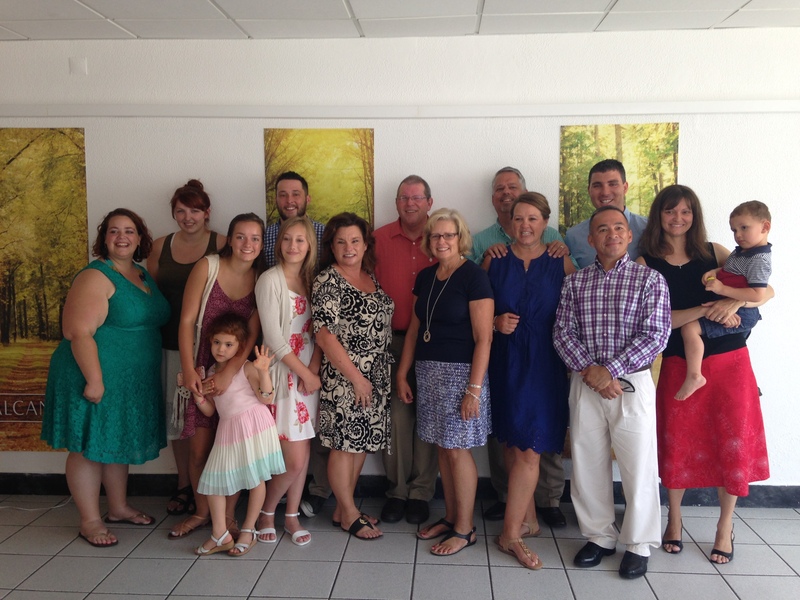 In July, we hosted a mission team from Tennessee. 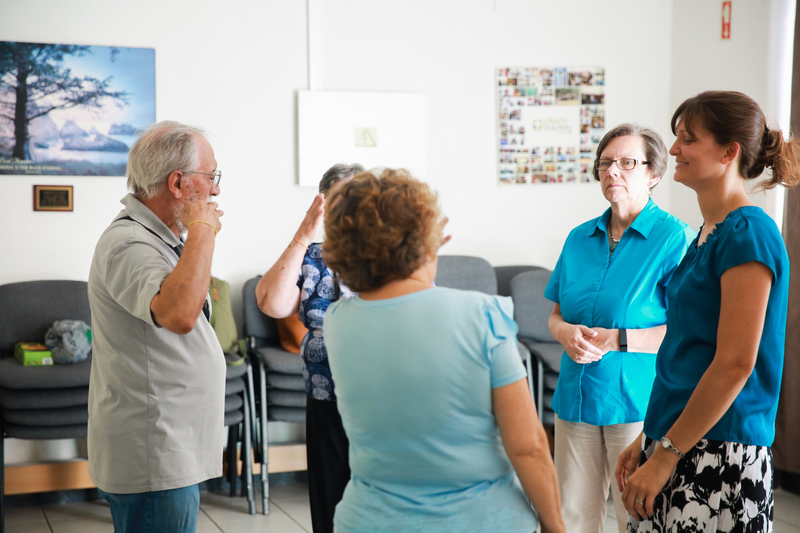 This team comprised of “specialists”, each person equipped for a specific ministry. 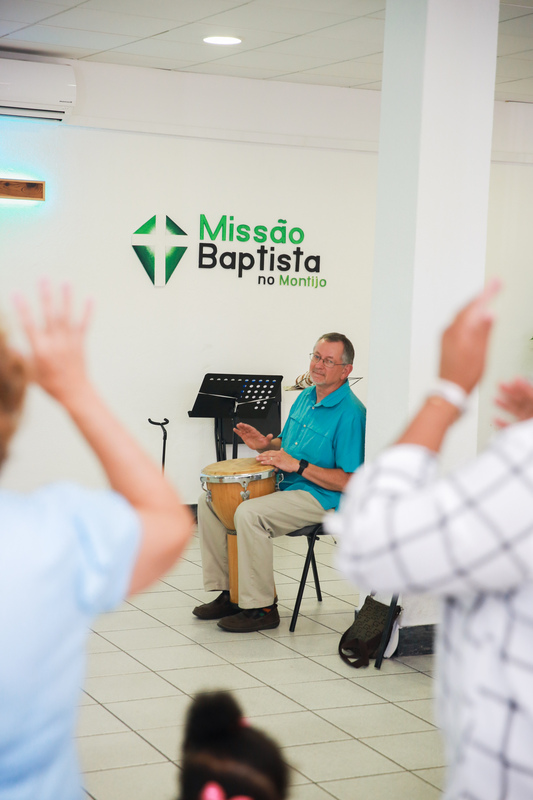 Two men preached at church and men’s meetings; a lady taught the women from our church and ministered to missionary ladies; one led a youth event; one redecorated our Sunday School classrooms; two filmed videos of Bible songs and stories in Portuguese Sign Language; and one gave a workshop for music ministers. They also cooked for a deaf activity, cut craft materials for Bible club, put thousands of church invitations in mailboxes, AND took time to minister to each member of our family. 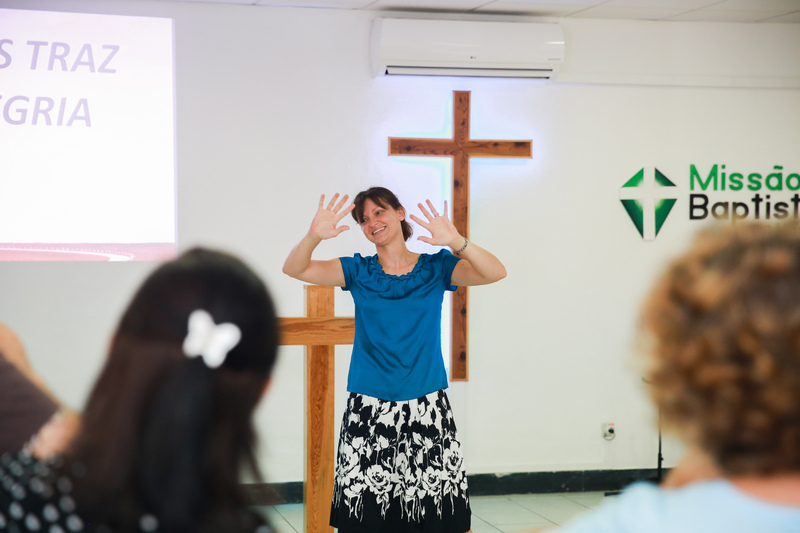 Many of our church members cried with gratitude for how the team had blessed us that week. Our next team from Michigan arrives next week. We look forward to how God will use them as well. –“Little” Paula is nearly 14, and she remembers when the Tennessee mission team came 5 years ago. 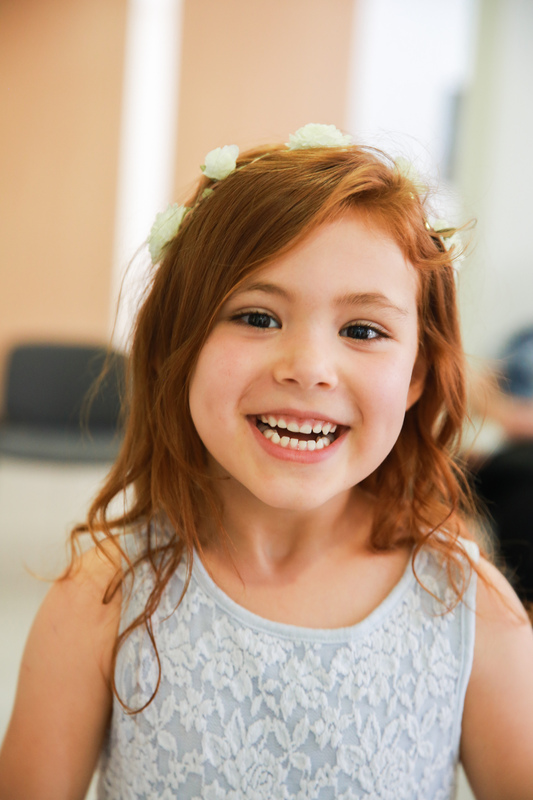 We are all encouraged to see her now saved, leading songs for kids’ club, and volunteering for everything at church. Yesterday, she texted us asking if she could teach nursery some time. She typed a detailed lesson plan of a story and craft and asked, “Could you provide the stickers? I’ll take care of all the rest!” What a blessing! —Marina continues to meet with Sarah weekly, plus attends the church services. She is holding on to her faith and trying to live it out before her unsaved husband. 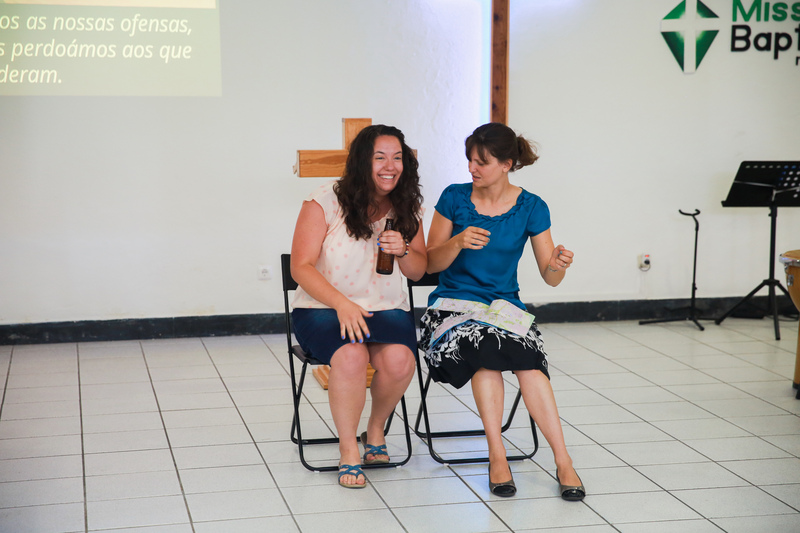 She tells comically painful stories of her successes and failures each week, and then asks, “Oh Sarah, what does the Bible say about that?” Sarah and Marina are memorizing verses together, and it is a joy to watch Marina grow. 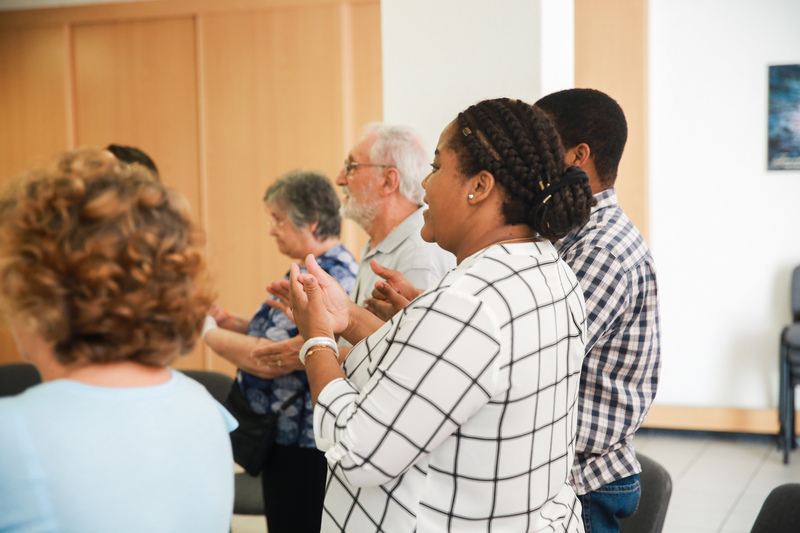 –Last month, two visitors from Africa came to our church. They were in Portugal for a surgery, and were staying with a cousin “just around the corner”. The next week, the cousin (Paula) came to visit. She said she didn’t know much about God or the Bible, but was hoping to come and learn about it. 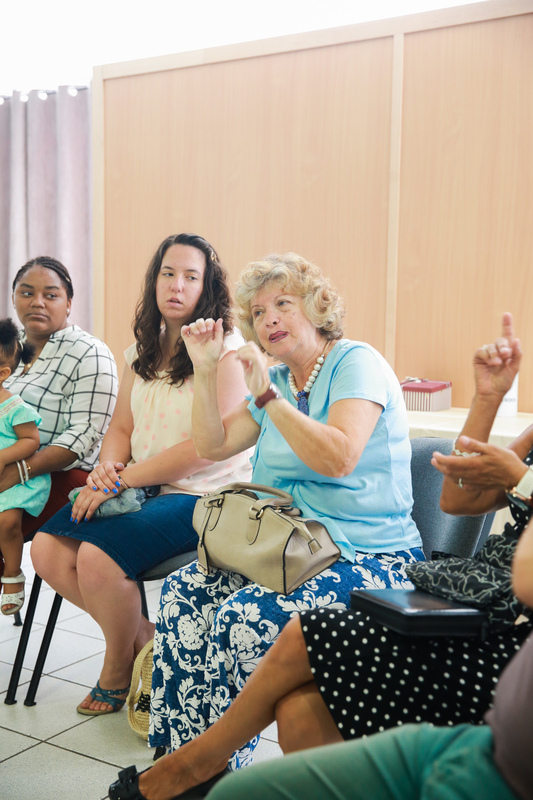 Though her cousins have returned to Africa, Paula has come to every Sunday and Wednesday night service, plus the ladies’ meeting! We praise God for using cousins all the way from Africa to bring her to the church around the corner. This summer has been full of encouraging signs of growth. 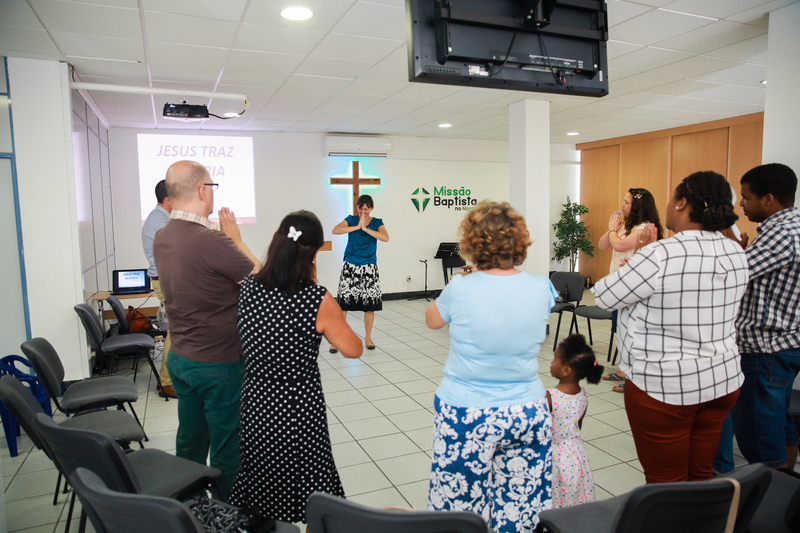 God is working in Montijo!